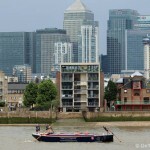 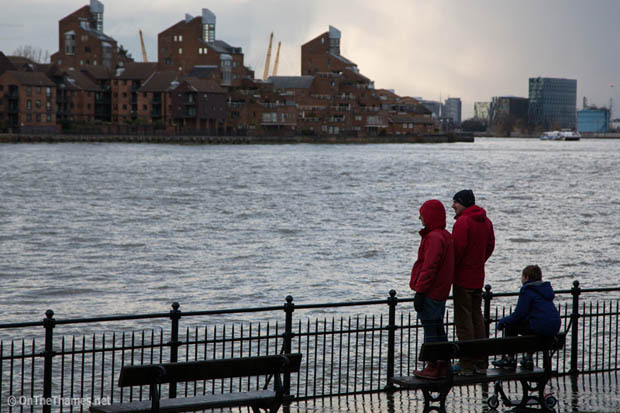 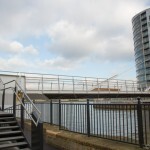 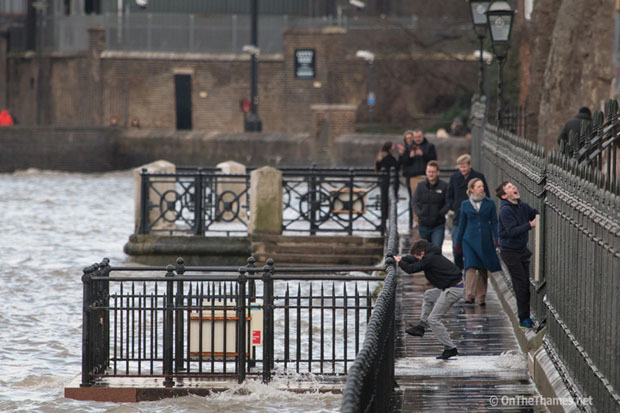 The Thames Path at Greenwich was flooded during high tide last Friday and Saturday. 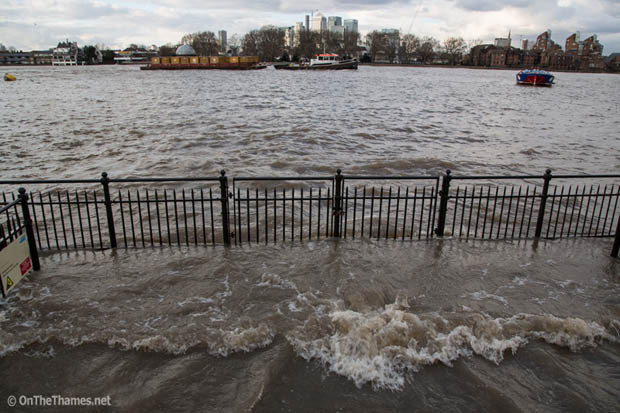 An especially high tide saw a flood alert issued for vulnerable riverside areas between Teddington and the Thames Barrier. 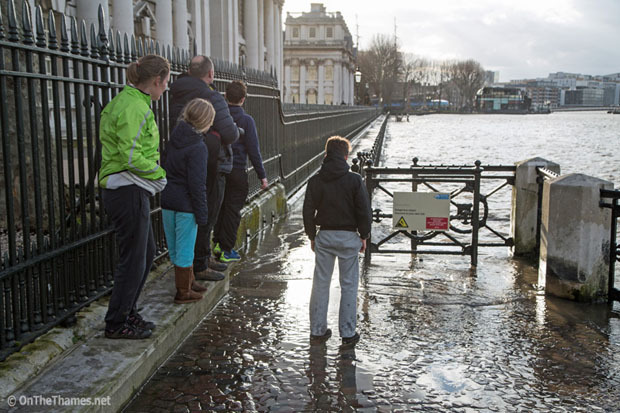 At Greenwich, this saw water washing across the path outside the Old Royal Naval College creating dramatic - but not unprecedented - scenes. 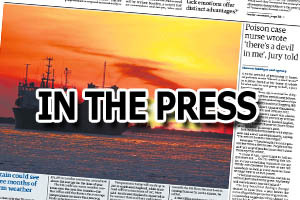 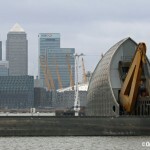 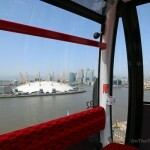 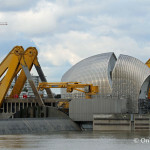 The Environment Agency do not close the Thames Barrier unless they predict that the water level will rise higher still.